TripAdvisor enables you to plan and book the perfect trip while offering trusted advice from fellow travelers. As the world’s largest travel site, with over 315 million unique monthly visitors, TripAdvisor operates in over 45 countries and has more than 190 million reviews covering over 4.4 million accommodations, restaurants, and attractions. 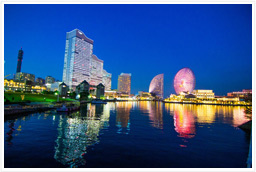 Non-Japanese reviews of top attractions in Yokohama posted to TripAdvisor between January and December 2014 are tallied using our own algorithm. A number of indicators factor into the results, including the average number of green bubbles given (out of 5) and the number of reviews. Ah ? that is how I imagine a modern coastal city should look… Truly amazing place… With some amazing new architecture, beautiful designed public spaces, parks, promenades etc… There is everything for everyone… If you are for shopping there are some amazing shopping places… if you are for some culture there are some great museums… if you for some amusement ? oh take a ride at those roller coaster or Ferris wheel if you like… or you are just for a walk and enjoying lying on grass watching ships or skyscrapers or sharing some nice moments with special one ? than you are on the right place… we like it really much ? simply a must see place where you can spend whole day wandering around and having some really great time… RECOMMENDED! 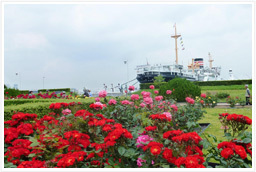 We had a Full day stop over in Yokohama during a recent Cruise, we had read about and reserached these Gardens so decided to visit them. It is possible to catch a Bus to the Gardens from near the Port Area but we took the easy way as there where 4 of us and took a Taxi. Between us it only cost about $2.50 each ($10 Aust Total) and was very convenient. Distance about 5KM. 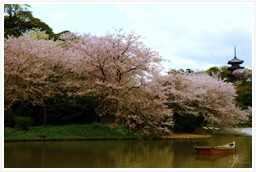 As with most gardens in Japan there is an entrance fee but it is quite reasonable 500 Yen for Adults. 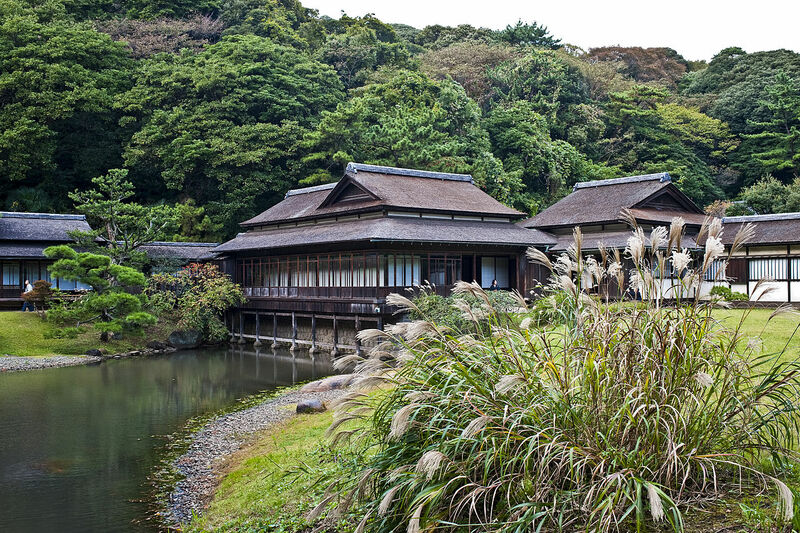 We spent several hours exploring and enjoying the gardens which also contain 17 Historical Buildings that have been transported from other areas of Japan and rebuilt within the Gardens. Unfortunately only ONE is open for the Public to explore inside but the others are interesting from the outside. The Gardens also have an Observatory and a 3 Storey Pagoda. A Main Pond and several other water features. All up I would say, Beautiful, Interesting and well worth Visiting. Allow about 3 Hours to enjoy properly. During my recent visit to Tokyo my son took me here on the spur of the moment so I was totally unprepared. The lift up is fantastic you go so fast your ear’s pop! The day we went it was clear and very sunny so the views were breathtaking. We were lucky enough to get that iconic view of Mt Fuji that everyone is familiar with. Has a great cafe and shop. For me this was one of my standout moments and you simply must go. 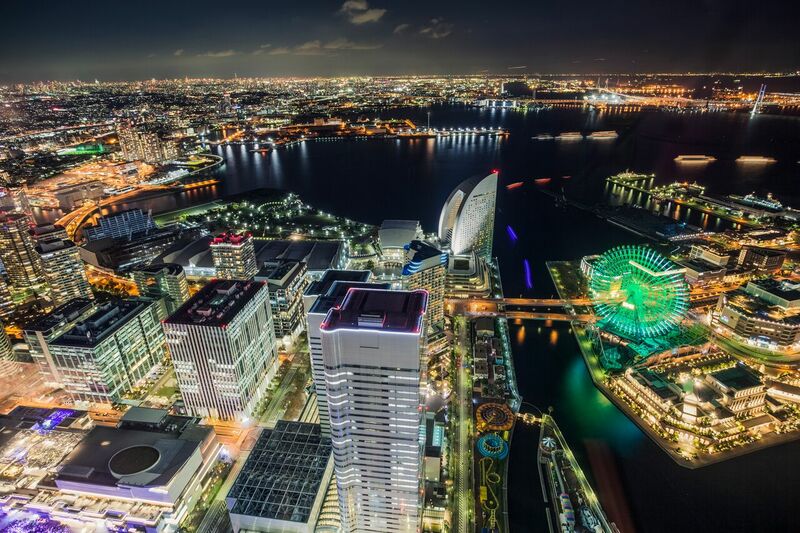 Go at sunset or at night to have an amazing view of the city. If you like architecture, you must go, is a very impressive structure which happens to also be a very beautiful place to walk. 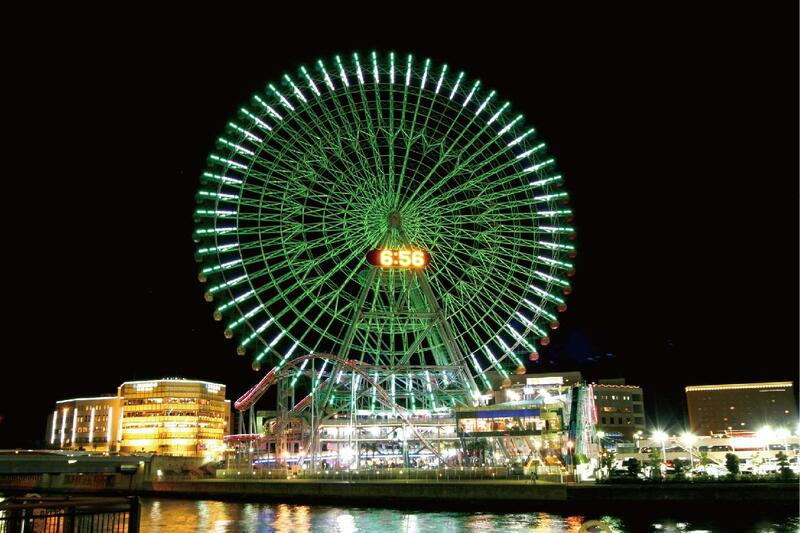 It is safe and quiet with small groups of friends and couples that go there to contemplate the lights of Yokohama. It is quite rare for a maritime vessel built in Japan in the 1930’s to still be around today considering the fate of other ships built in this period now sit at the bottom of the ocean. 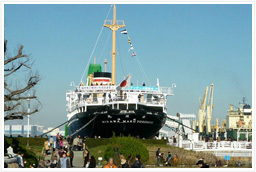 The Hikawamaru is an old vessel with a long history as a cruise ship plying the north Pacific but also as a hospital ship. The courageous action of the captains in this time period not to allow munitions made sure that she remains as a piece of floating maritime history. The ship provides a fascinating look back in time to the art deco period with ornate features from the fire place to ceilings and lights. It is possible to view most parts of the ship from cabins to the engine room to the bridge to the social gathering areas for first class passengers. This attraction is for those that are into sailing vessels or for those that are interested in history. 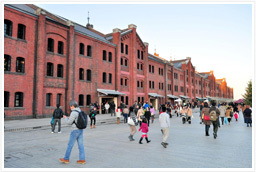 Worth a visit while in Yokohama. 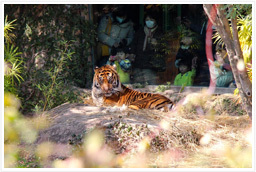 This zoo was recommended by a friend of ours and it was a delight to walk in the open-air atmosphere compared with most zoos. Bring a picnic lunch and make a day of it. The playground alone with its zipline and climbing equipment captivated our kids for an hour, and we still had to tear our youngest away. Super-reasonable price for Japan. 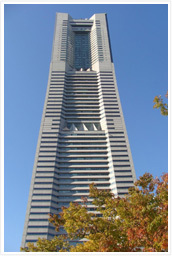 Stay in the Land mark tower Hotel, shop in the Landmark Plaza or the Markis. Eat in the 100 of restaurants in the area. 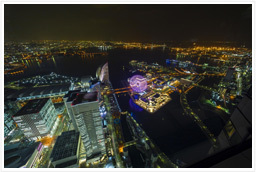 See a free 3D show in the Dockyard, have Ice cream from Cold stone and end the night at the 70th Floor at the Landmark tower Hotel with a night cap…just breathtaking views…and superb cocktails. 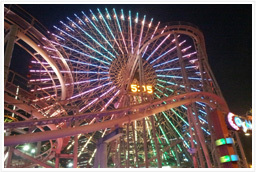 I was keen to experience the wheel / clock to see the views, and I thought it was worth it to see the panoramic views. The cars don’t swing in the wind (a relief), and although the ride is short, you have chance to look around in all directions. We didn’t try any of the other attractions in the Park. The clock looks great in the evening when its illumination and colourful light display really marks it out as a feature of the skyline. A very pretty little park on the waterfront, with loads of benches making it great for relaxing and people watching. At one end of the park is a small Lawsons supermarket where you can buy some hot snacks, fries etc and also cold snacks such as sandwiches, drinks, cakes, sushi etc. we bought food there and sat and ate it in the park. At the other end of the park is where you catch the little shuttle ferry that plies the waterfront to the big wheel, and also where you catch the dining cruises etc. There are always people picnicking on the grass at weekends, and sometimes there are street performers too on a weekend. There is so much to do in this wonderful place. An amusement park and a Grand Carousel will greet you as you go your way to the ticket booths. 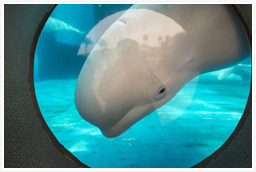 They have a wonderful dolphin, sea lions and whale shark show which will surely leave a smile on your face. A very impressive collection of marine life which were given more than ample aquarium space. Aside from the whale sharks which I believe are the main attractions, the first encounters with the dolphins, manatees, sea lions and beluga whales are really worth the price. Food stalls are everywhere and some kiddie rides are present within the park. Expect to encounter a long queue during weekends ? so be there early! Personalized cup noodles make great gifts. We’ve been to the one in Osaka and this one is better because it has a playground. 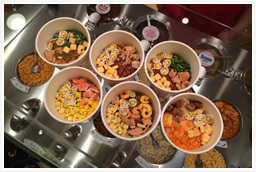 There is also a food area where you can buy small bowls of different flavours of noodles to taste. I did this while my son was in the playground on the same level. The balcony also offers beautiful views of the harbour. Really nice concept of an old building being transformed into a excellent dining and shopping experience. 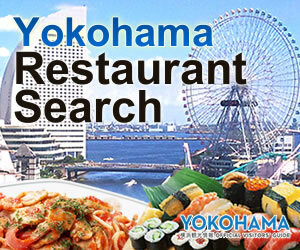 Very nice restaurants and food stalls, the best food you will get in Yokohama if you are not Japanese. From fine dining to gourmet food stalls. Nice little boutique shops and overall just a great experience! Great experience if you like baseball. 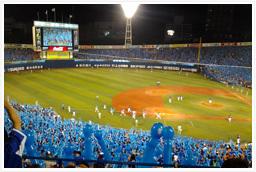 We went to the last game of the season between the Baystars and Nagoya Dragons. The game was competitive but most enjoyable was experiencing the Japanese fans and their enthusiasm for their team. Each player has a chant that the crowd cheers when they bat. There was also a small band in the stands to encourage cheering. The food included bento and various selection of beer brought to you in draft kegs carried by young girls. NOTE: the fence along the field seating is low so foul balls can careen into the crowd. The stadium has staff with whistles to alert you to fouls but you still have to watch for hard liners. 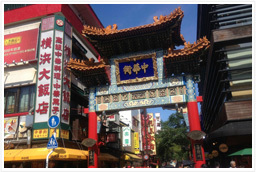 Yokohama Chinatown is lively and fun! 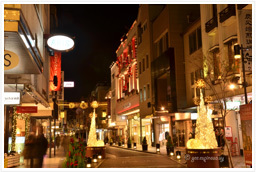 The streets are lined with shops and restaurants that offer a vast variety. Many of the shops sell cheap Chinese souvenirs but there are a few treasures that sell quality items. It is fun to wander in and out of each shop! There are several restaurants that have huge wooden steamers filled with Bun that smells so good. We ate at a restaurant where no English was spoken but they sent for a translator to help us order! The food was incredible! I’ve never really been into Ramen before, however now I’m obsessed with it. 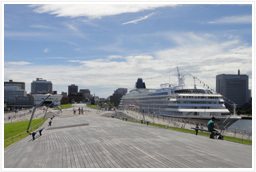 This was the best place I visited in Yokohama. Once you enter the museum you think it’s going to be kind of boring, but then you enter an underground world of old Japan and Ramen stalls. I loved the atmosphere and loved the Ramen and looking forward to going back on my next trip to Japan. If you like Ramen and want to experience what it would have been like all those years ago, don’t miss it! *Review information is subjective and represents the opinions of TripAdvisor members. Photos provided by TripAdvisor members.